One year after the end of the SIVA Crisis, Cabal forces of the Red Legion sever external communications throughout the Solar System and launch a full-scale aerial assault on the Last City, destroying a main portion of the Tower. The Guardian and Ghost respond and assist the Vanguard in the evacuation of civilians, but while assaulting the Cabal command ship of Dominus Ghaul, the military emperor of the Cabal, he attaches a massive mining device to the Traveler and drains it of the Light, a special form of power used by the Guardians. The Guardian loses their powers and is nearly killed by Ghaul. 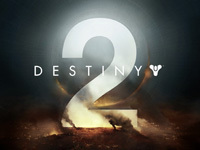 Waking two days after the attack, the Guardian locates their Ghost and the two escape the Last City and find a safe haven known as The Farm in the European Dead Zone (EDZ) with the assistance of Suraya Hawthorne, a human who lived on the outskirts of the Last City who helps refugees.